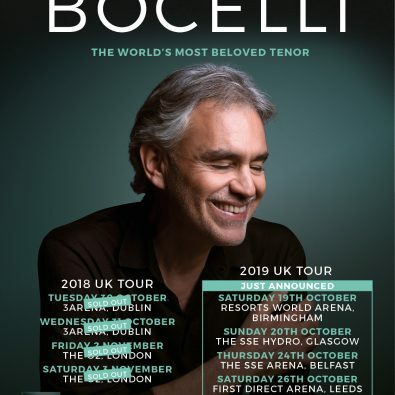 ANDREA BOCELLI ANNOUNCES UK RETURN IN 2019! 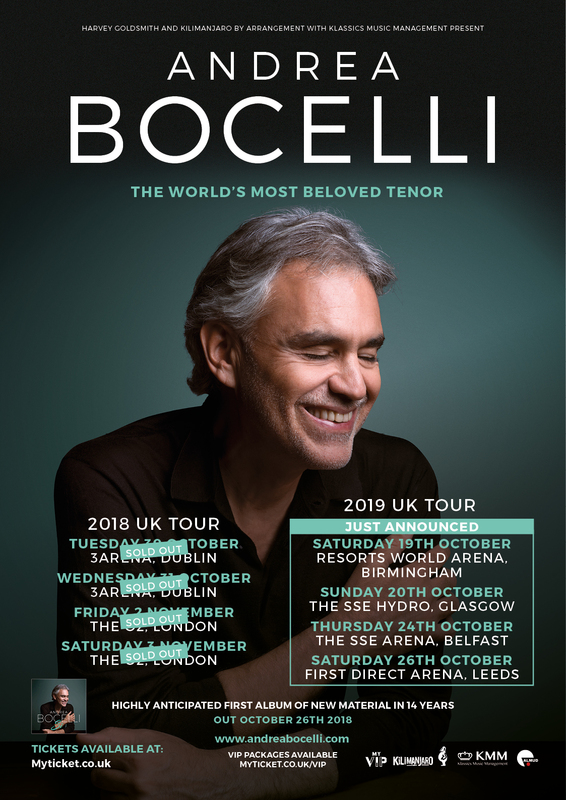 there are limited tickets left for his Dublin shows at 3Arena this October. well as a wide repertoire from across his 15 studio albums.